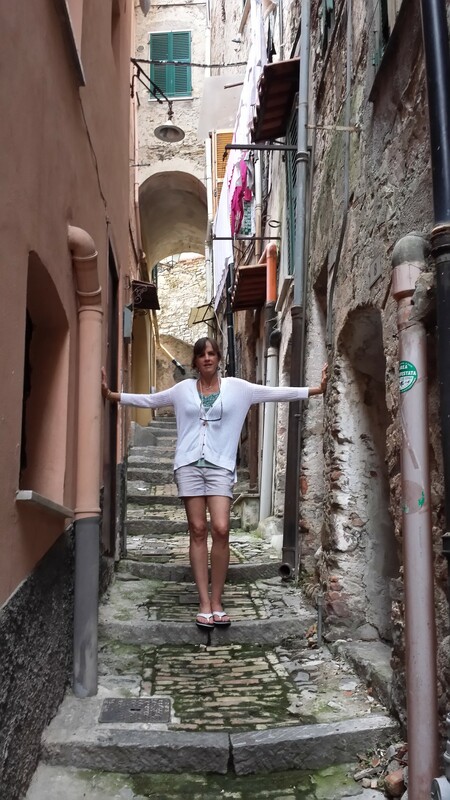 My plan for June blog posts was interrupted in the last weeks by two wonderful things: first the arrest of Bill Ulmer, and second, a two-week trip to Italy that my husband and I have been needing to take for the last ten years. I say “needing” because he is from Italy and it has been fifteen years since he has been back to visit friends and family. As for Bill, my understanding is that he is being held in federal prison in Atlanta at this time, waiting for a hearing in North Carolina. This information trickled in to me through the fog of jet lag while I was in Italy, so I do not know if it is completely current or what, exactly, we are waiting for. I would love to hear from any of you who have a story to tell about your friendship with Barbara or with Bill. As you can see, I have decided to use his real name at this point. He has not been convicted of anything I have suggested in “Remember Barbara,” but I think it is clear that I have not made this story up out of my head. Only a few short weeks ago, I supposed that the only thing I would ever be able to do in honor of my friend Barbara’s disappearance is stand here waving this flag of her story, hoping that it might find its way to the people who need to hear it in order to remain safe. So for me to learn of Bill’s arrest about 10 days before I left for a vacation was like a beautiful gift from the universe. I know that as long as he is in federal custody, everyone is safe. I do not mean that I think he goes around with plans to physically harm people–I mean “safe” in a broad personal sense. We had the best time in Italy! Jet lag is horrible and coming back through US Security/Customs is a dreadful experience even for US citizens with clean a clean conscience (! ), but the trip was wonderful! 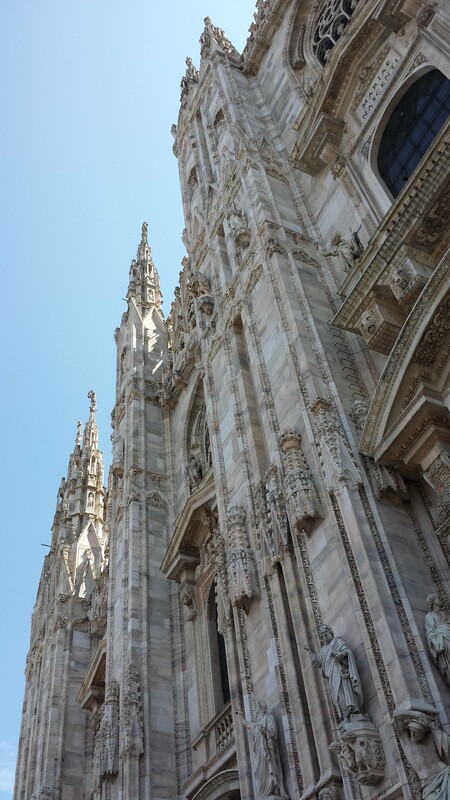 We spent several days in Milan visiting brothers and their families, then we went to San Remo where we spent a few days with my step daughter. After that, we came back to Milan but flew to Sardinia where my brother-in-law has an apartment in a coastal town called Alghero. Definite highlight of the (too few!) days in Alghero is that we got to surf. The waves were terrible and the boards we rented were even worse (mine was a tri-fin missing the middle one!!) but the sun was hot and the water was close to warm SO CLEAR that you could see the rocks and sand in water too deep to stand in. Wow. I took hundreds of photos, walked for miles every day, ate like a horse, gained five pounds in two weeks, bought a whole pile of cheap, cute dresses at the markets and was pleasantly surprised at the prices of things. I was sure that with the Euro stronger than the dollar, everything would be terribly expensive. Not even. Go out to dinner at the beach: get an appetizer, two main courses, a carafe of wine, two coffees, a grappa, a zambuka, a tiramisu… you can’t spend more than 40/50 Euros. Amazing. 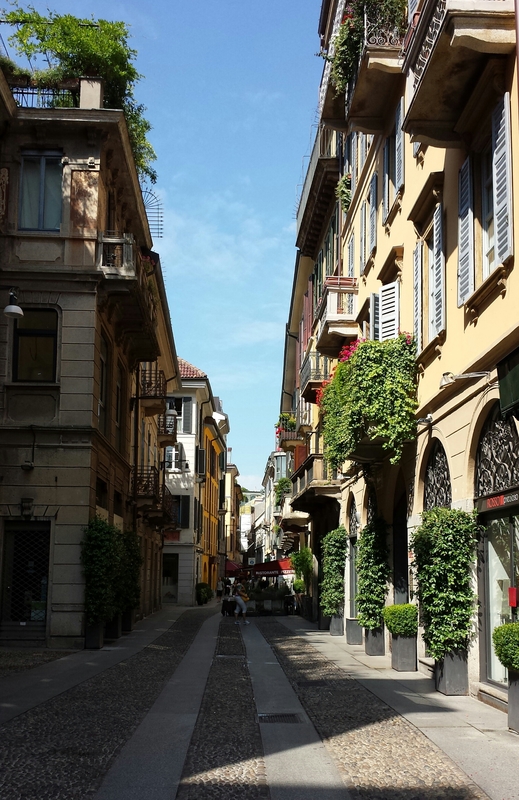 Random street in Milan. No, it is not a movie set. Yes, random streets actually look like this. Freaking scary. I get it about the art, but this place has a vibe that is TERRIFYING. West coast of Sardinia. Punto Torres, maybe? Remains of old look-out towers on every point.